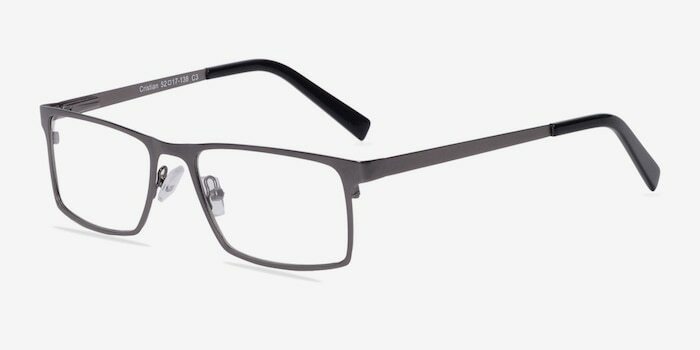 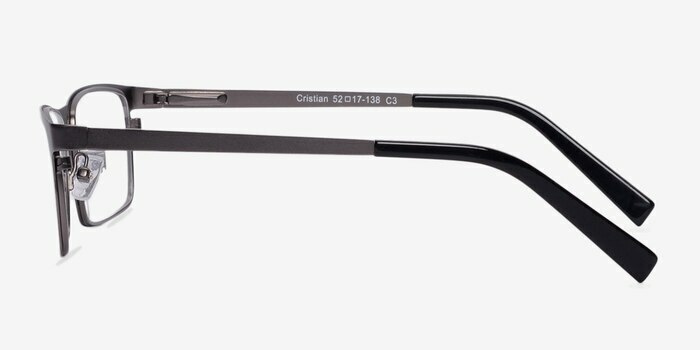 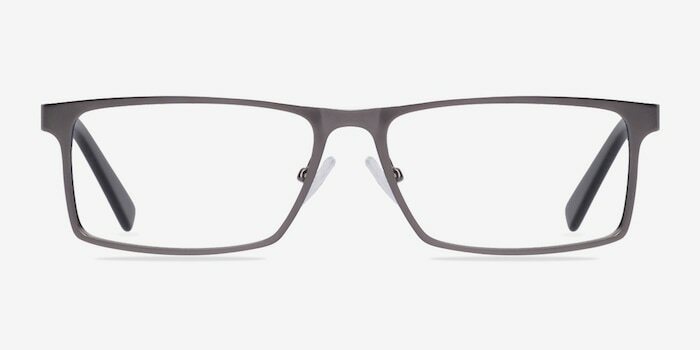 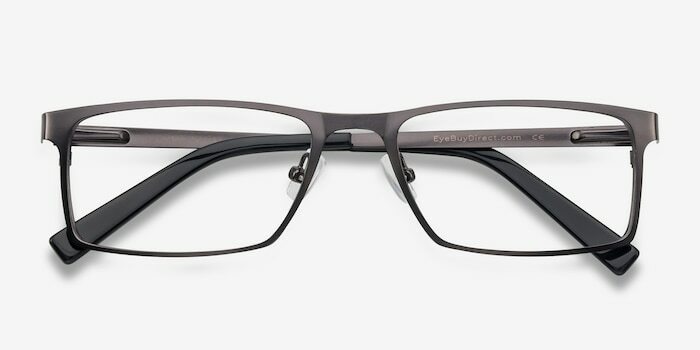 These gunmetal and black eyeglasses are minimalistic dashing. 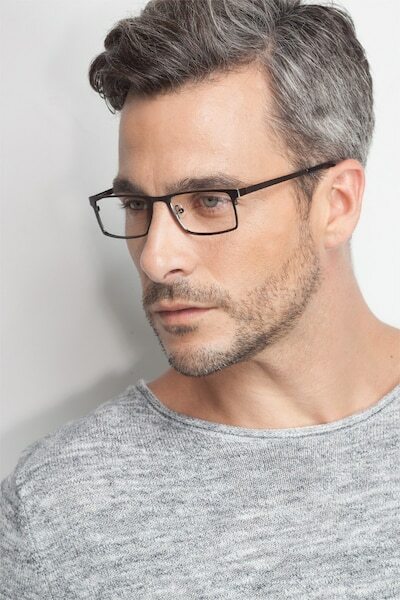 This full metal frame features a cool gunmetal finish and distinctive rectangular shaped lenses. 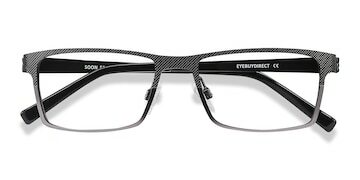 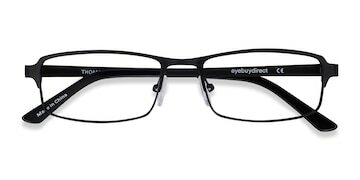 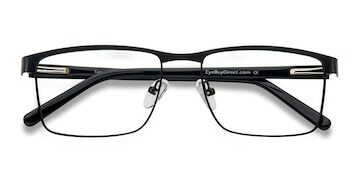 Adjustable nose pads and black acetate arm tips make this strong look adaptable for both men and women.